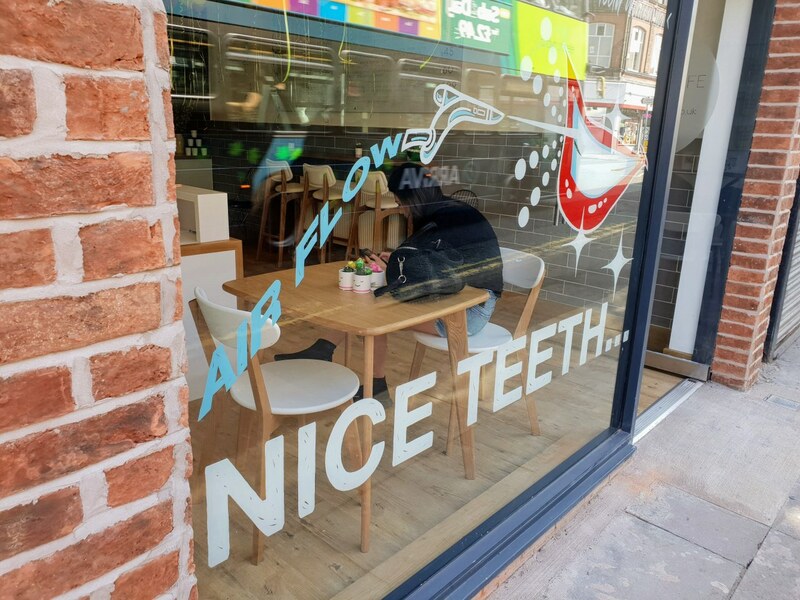 The Dental Cafe in Garston, Liverpool, is the first ‘drop-in’ dentistry boutique of its kind located in the North West. Everyone’s lives are always getting busier and it isn’t as easy to fit in dentist appointments. It becomes more of a hassle as we can’t pick the exact appointment we want unless we book 6 months in advance and let’s face it, we don’t always know what will be going on in our busy lives in 6 months time! The Dental Cafe is perfect to be able to fit in a selection of treatments without having to go on a waiting list or booking months in advance. If you want to book an appointment you can do it with ease on their website and book an appointment for that day! The clinic is contemporary and has a very friendly atmosphere when you enter, this puts you at ease instantly and removes any stress you may be feeling. The Dental Cafe Liverpool offers only a select number of treatments but these are perfect to make you feel a lot better about your pearly whites! They offer the typical Scale and Polish, which helps to keep your teeth and gums clean and removes any pesky plaque. The Airflow is a stain removal treatment that helps to remove difficult marks whilst also giving your teeth and good clean. This consists of a jet of compressed flavoured air on your teeth and in-between. This was the treatment that I got to try out. I chose the Cherry flavour, which was nice, I think next time I may go for mint as I feel that would feel a bit more freshening. You can also get Teeth Whitening there, I have never tried teeth whitening before myself but it’s handy to know there is somewhere I could book in easily for this. Amy was my wonderful dentist for my visit and she made me feel so welcome and at ease when I went in. She talked me through the procedure and made sure I was comfortable throughout. 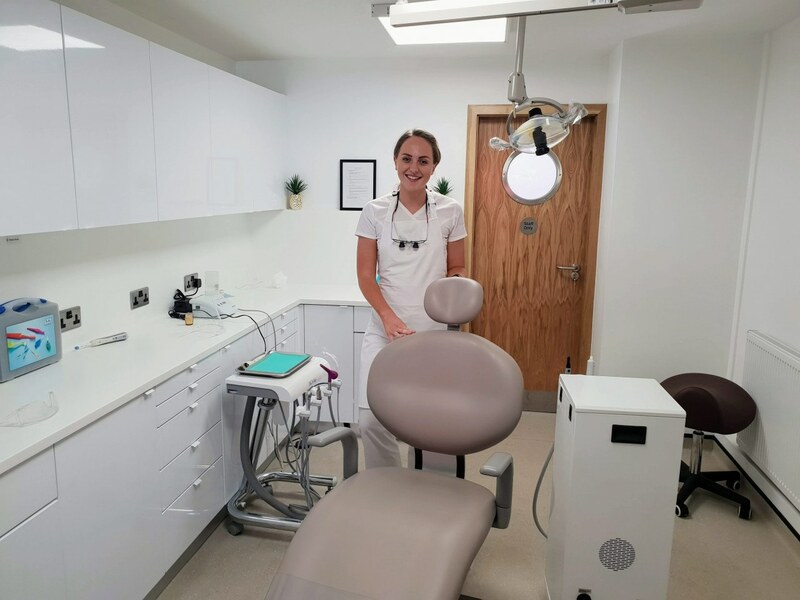 You may be thinking, is a clinic like this as good as going to a typical dentist, well Amy was very professional and knew what she was talking about and even though I was somewhere very modern and new, I felt like I was at a normal dentist clinic. The Airflow treatment feels like your teeth are being sandblasted with a fruity flavour. If you have had a scale and polish before you will probably know what I am talking about. My teeth felt so clean and smooth after the treatment and Amy gave me some aftercare advice and showed me different things that can be used for flossing your teeth. I would definitely pay another visit to The Dental Cafe, I found it really handy that you can just drop-in to the clinic. It is very close to where I work so that is ideal for me. I also think the prices aren’t too expensive either as I have to pay separately for a Scale and Polish at my regular dentist and I think it works out around the same price. 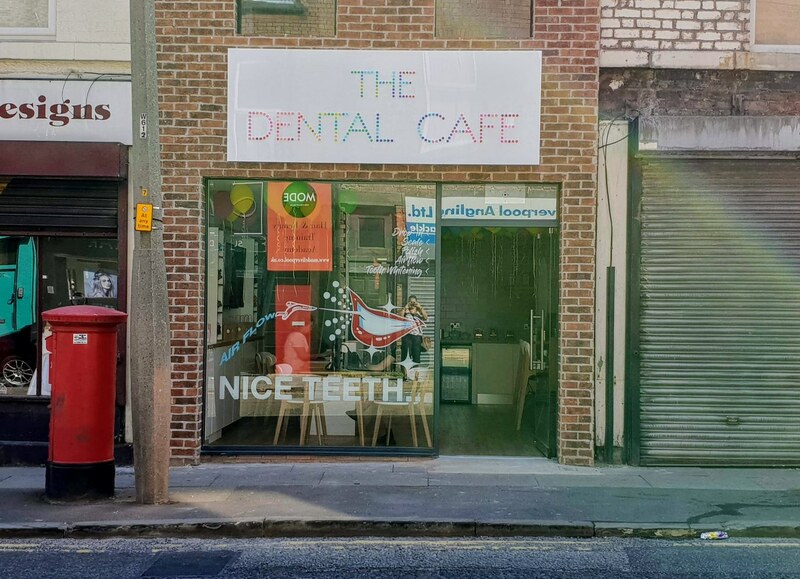 Have you been to the Dental Cafe? Would you consider paying a ‘drop-in’ dentist a try? I’d love to hear your thoughts. *My visit here was complimentary. See my disclaimer policy here.